Deputy Minister of National Policies and Economic Affairs, Dr. Harsha de Silva, in an email to this writer, has clarified that what is meant by the goal of being ‘enriched’ in V2025 is not to become a rich country in terms of the World Bank classifications. Instead, “It’s about a country rich in money as well as values, culture, etc.” What it means is that V2025 envisages to be a prosperous nation by 2025 still remaining in the higher middle income country category which Sri Lanka will join in 2017. In the previous three parts of this series, it was noted that the Vision 2025, released recently, was in fact the fourth of such visions placed before the public after the present Government came to power some two years ago. All four visions had one underlying philosophy, namely a knowledge-based highly competitive social market economy as the guiding light of the nation’s policy. It was noted that this philosophy, adopted from post-war Germany, which sought to have a third way different from Western Capitalism or Soviet Communism, had been customised to suit Sri Lanka’s specific situation. Sri Lanka lacked both ‘knowledge’ and ‘competition’ and therefore they had to be added to the social market economy which had combined both the free market economy principles and the need for supporting vulnerable groups left behind in a competitive market economy. It was also noted that all the four visions had presented just a wish list and hence they had to be translated into concrete actionable plans for the realisation of the intended goals. However, after the presentation of the first three visions, there was no such actionable plan prepared and therefore the goals in visions had just remained desired wishes. Thus, it was emphasised that the same fate should not befall the current statement Vision 2025 as well. The present vision had goals corresponding to the country’s election cycle and not to any perceivable economic cycle. Hence, the objective of the Government had been to present the electorate with a success story to secure re-election in both 2020 and 2025. However, they had accelerated the original long target of making Sri Lanka a rich country to 2025 requiring the country to maintain a high economic growth of around 16% per annum till 2025. It was noted that, given the country’s low economic performance in the past, this was an uphill task for the Government. Further, it was also noted that the plans of the Government to tackle the country’s boiling public debt problem were short of a permanent solution that called for a drastic curtailment of consumption by all. In this part, we will look at how Prime Minister Ranil Wickremesinghe’s alleged instructions to the former Governor Arjun Mahendran to abolish the direct placement system of issuing government securities would be counter to the vision of establishing an independent Central Bank in the country. 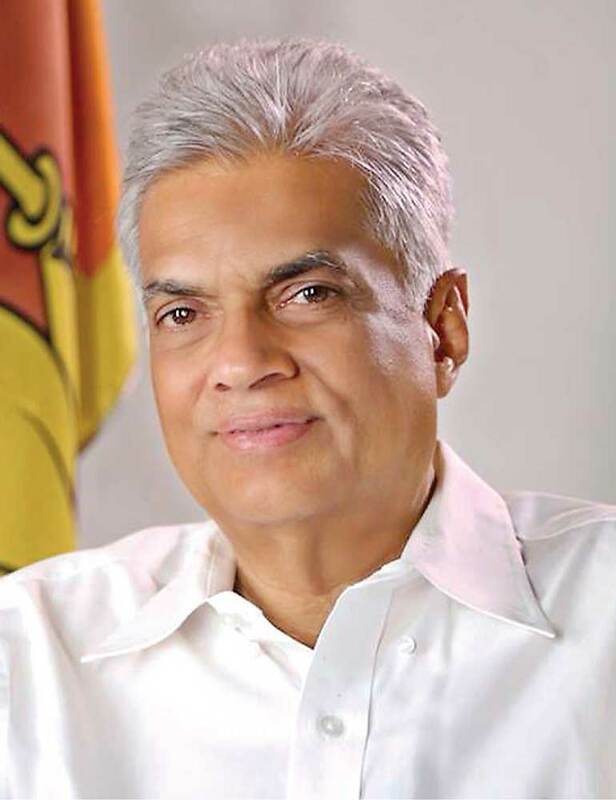 Prime Minister Wickremesinghe, in his first economic policy statement delivered in Parliament in November 2015, assured the nation that his Government would introduce necessary legislation to enable the Central Bank to function as an independent institution. In V2025, he has gone further and promised to introduce necessary legislation to facilitate the Central Bank to have inflation as its prime target without the intervention of politicians. The Central Bank is an independent institution for monetary policy and its budget is within the existing laws. Hence, when he said that his Government would make the bank independent, what was implied was that the bank would be fully independent from political authorities like Germany’s Bundesbank or England’s Bank of England. When the first promise was made, it was welcomed by the market. But no action was taken within the last two years to put this wish into practice. Instead, the opposite has happened, as revealed by evidence given by the former Governor Arjuna Mahendran and others before the Commission of Inquiry into the Issue of Treasury Bonds, commonly known as the Bond Commission. The evidence and many other acts which occurred during this period suggest that there have been attempts at compromising the independence of the bank. 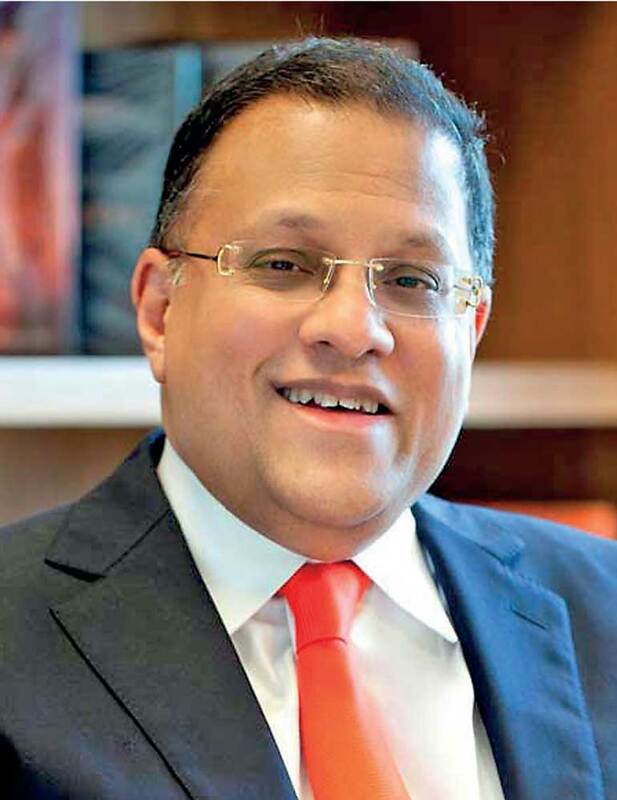 Mahendran, giving evidence on oath, told the commission that Prime Minister Wickremesinghe advised him to do away with the practice of issuing bonds direct to primary dealers, a practice which had been used by the bank since 1997 and known as ‘direct placements’. The Central Bank, its senior officers and the Monetary Board, from day one of the alleged bond scam, tried to paint a demonic picture about the direct placements in practice. It appears that the Prime Minister has been informed by Central Bank officials that it was a crime to issue five-year bonds in 2013 at 11.42% through direct sales. What the Prime Minister has not been informed about is that the prevailing market rate for 8.0% - a five-year bond in January 2013 was much higher at 11.63% and 11.45% in March 2013.
Who supplied incomplete information to PM? Hence, if the bonds had been sold at 11.42% under direct sales it would have been at a beneficial rate for the Government since the bonds in question had been sold above prevailing market prices. Those who had bought the bonds at those prices could not have made a profit immediately as alleged by the Prime Minister since the bond prices remained at around the same low levels almost throughout the year. It is not comprehensible why the Monetary Board at that time – the objective, impartial and impassioned advisor to the Government – chose to supply incomplete information to the Prime Minister. Now the former Governor Mahendran has revealed in his evidence on oath before the commission that it was Prime Minister Wickremesinghe who had advised him on 24 February 2015, three days before the controversial bond issue, to do away with direct placements as a method of issuing government securities (available at: http://www.ft.lk/front-page/Mahendran-mauled-by-more-grilling/44-640821). In terms of the existing laws, neither the Prime Minister nor the Finance Minister can give directions to the Monetary Board which enjoys autonomy with respect to policy making. This specific arrangement which conforms to the world’s best practices in central banking was introduced to the bank’s governing law, Monetary Law Act or MLA, by its architect, John Exter, for a good reason. That was to prevent the politicians from abusing the Central Bank’s power to print money and thereby erode its value with the adverse consequence of people losing the real value of their wealth in financial form. It would not only create chaos in the economy but also hamper the country’s long-term growth. Hence, the Central Bank’s Monetary Board was given full powers to conduct its policy without the interference of the government in power. However, since the Government has the overall responsibility for the economy and if there is a disagreement between the Minister of Finance, the representative of the Government, and the Monetary Board with respect to any policy, a special provision has been made in MLA under section 116(2) to resolve such disagreement. The section under reference says that in the event of a disagreement between the two parties, every effort should be made to reach an agreement. This is because any open battle between the Minister of Finance and the Monetary Board will not augur well for the country in the eyes of the investors. However, if an agreement cannot be reached, the relevant section empowers the Minister of Finance “to inform the Board that the government accepts responsibility for the adoption by the Board of a policy in accordance with the opinion of the government and direct that such a policy be adopted by the Board”. When such a direction is given by the Minister, the “Board shall carry out such direction”. 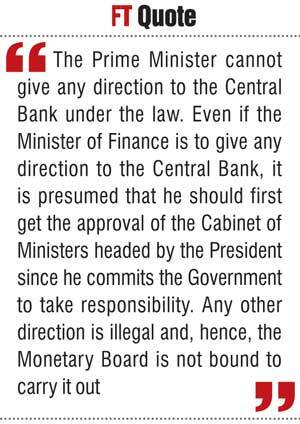 Hence, the Prime Minister cannot give any direction to the Central Bank under the law. Even if the Minister of Finance is to give any direction to the Central Bank, it is presumed that he should first get the approval of the Cabinet of Ministers headed by the President since he commits the Government to take responsibility. Any other direction is illegal and, hence, the Monetary Board is not bound to carry it out. In this case, it is totally naïve for the former Governor Mahendran to carry out a direction given by the Prime Minister which is outside the law. It is equally bad that he does so without getting the prior approval of the Monetary Board which is the competent authority of the Central Bank under MLA. Thus, in the concerned case, there is a failure on the part of the Monetary Board too, since it had not raised this issue with the Governor, according to the evidence placed by senior Central Bank officers before the Committee on Public Enterprise or COPE in its second inquiry. This is a serious issue relating to the governance of the Government, governance of the Governor and governance of the Monetary Board of the Central Bank. It is bad for a Government which has pledged to deliver good governance to Sri Lanka. In the whole of the Central Bank’s history, there is only one occasion where the Government of the day had invoked the powers it had got under section 116 (2) of MLA. That happened in December 1959 when the Monetary Board decided to increase its main interest rate on its short-term loans to commercial banks, known as the bank rate, from 2.5% to 3% per annum. The Government of the day under Prime Minister Wijayananda Dahanayake was to run for an election the following year and it thought that the increase in interest rates would jeopardise its chance of being re-elected. Hence, it directed the Monetary Board to restore the interest rate to its previous level under section 116(2) taking responsibility for its decision. However, analysts later remarked in a lighter vein that the Government took “full responsibility for its direction” since it was ousted from power with the Prime Minister too losing his seat in the subsequent election. A Governor who knew his job would have explained the matter to the Prime Minister when the alleged instructions had been issued. If the Prime Minister did not agree with him, then he should have immediately reported the matter to the Monetary Board for a decision. In such vital issues involving the independence of the Monetary Board, the Governor cannot and should not take action on his own. The direct placement practice had been in use at the Central Bank since 1997 and even the Monetary Board at its meeting held just one day before on 23 February 2015 had decided to continue with it in the forthcoming Treasury bond issues. The direct placement system had been a vital instrument available to the Monetary Board to prevent undue increases in interest rates via collusive action by primary dealers. Hence, before abolishing it, the technical staff of the Central Bank should have thoroughly analysed its pros and cons and apprised the Monetary Board of the desirability or otherwise of its abolition. None of this had happened in the Central Bank in this case. This writer believes that had it been explained to Prime Minister Wickremesinghe, he would have accepted it given his past track record of not showing arrogance on three previous occasions. The first happened in 1994 when he was the Prime Minister and campaigning for re-election at the general elections held in August that year. A request was made by his campaign managers to Governor H.B. Disanayake for release of a lady non-staff officer to serve on the campaign. Governor Disanayake, who consulted the senior staff of the bank and the Monetary Board, rejected the request and informed Prime Minister Wickremesinghe that the Central Bank had no powers to do so. Prime Minister Wickremesinghe did not make any fuss about it. The second and third instances took place from 2002-2004 when he was the Prime Minister again and at that time A.S. Jayawardena was the Governor of the Central Bank. On a paper submitted by the Minister of Finance, the Cabinet had approved the appointment of a senior officer of the Central Bank to the Ministry of Finance as economic advisor. Under MLA, Central Bank officers could be released to other government bodies provided the consent of the officers concerned had been obtained. In this case, the officer concerned had not given his consent and therefore could not be compelled to accept the appointment. Governor Jayawardena informed the Ministry accordingly and the Government headed by Prime Minister Wickremesinghe accepted it. On the third occasion when there was a general election in 2004, the Opposition had presented an election manifesto with a number of unmanageable goodies to the people. Since the costs were enormous, it was beyond the financial resources of the Government. The Cabinet then decided to direct the Central Bank to examine the financial prudence of the manifesto in question and submit a report. Governor Jayawardena informed the Prime Minister that it was not a job of the Central Bank to examine the manifestoes of political parties. As before, Prime Minister Wickremesinghe accepted Governor Jayawardena’s explanation. Politicians love to control the Central Bank. But it is the responsibility of the Governor and other senior officers of the bank to defend its independence.